Hello everyone! I m and EFL teacher in Barcelona (Spain). I teach young Primary learners, so my contributions will be at this respect. I m enjoying very much your work and I m learning a lot, which is something a teacher must always do. I love this site! 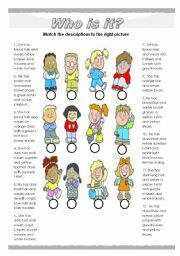 Speaking sheet.This a sheet to get students talking in pairs. One will act as a salesclerk and the other one as costumer in a clothes shop. An example conversation is provided. Conversation tips: check in and check out, booking and room facilities. 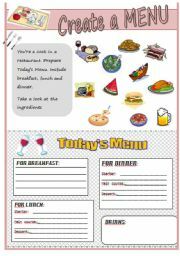 Create a restaurant menu. Including breakfast, lunch and dinner, with two courses and dessert. 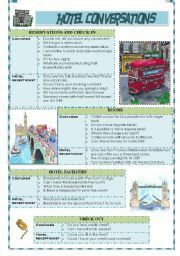 American English worksheet about stores in a mall. 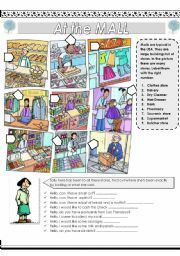 Easy and simple activities to practise stores vocabulary. 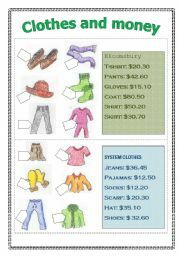 Students must plan their jorney, and they must do in budget. 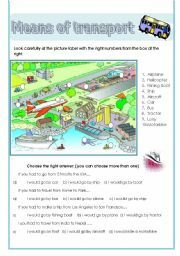 They have to choose a destination, means of transport, accomodation and visits. (they are given many options) Then they have to report their vacations. The file was too large, so I have had to divide it in 2 parts. Sorry about that. They activity is very nice and useful. 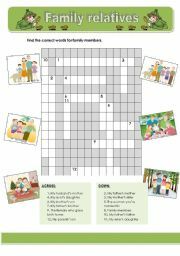 Cut the sheet in half, each partner takes one. 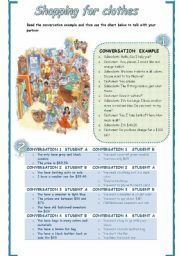 Each partner is a clothes shop owner and they have to ask each other about prices. To do so they must know clothes names. 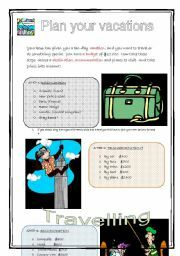 Its an engaging and useful speaking activity. 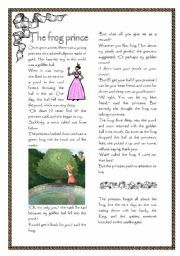 This is the frog prince tale adapted for the target students. It might be suitable for 12-year-olds.